Wadi Gharrar is a small tributary of the Jordan River that is fed by about five springs. Tradition holds that these springs provided the water that was used by John the Baptist for baptizing. 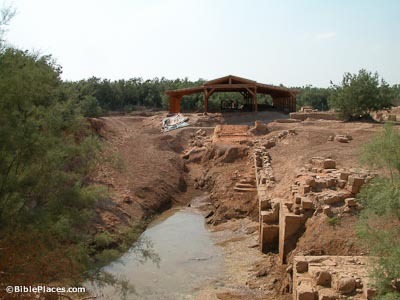 Those who support this tradition note that (1) “Bethany beyond the Jordan” was not necessarily a location on the river itself, (2) this site is closely connected with the river, and (3) it was unlikely that a swiftly flowing river like the Jordan would have been used for frequent baptisms. Fifty yards from the Jordan River, the Byzantines built three churches here to commemorate Jesus’ baptism by John. The earliest church was built on stilts because of flooding. 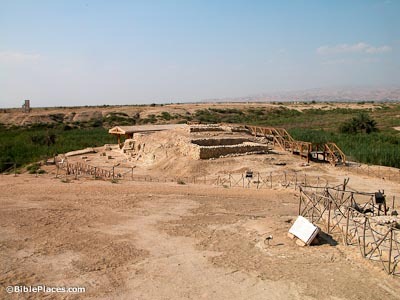 This site is located near the southern end of the Jordan River, across from Jericho. Despite the early tradition associated with this site, its identification as “Bethany beyond the Jordan” is probably incorrect. 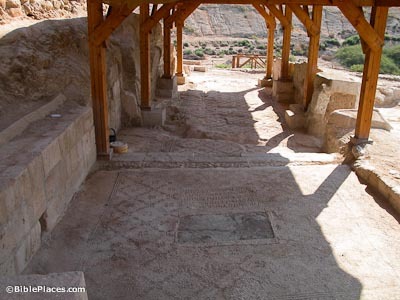 Instead, the northern Bethany in the territory of Herod Philip fits a number of points in the NT record. 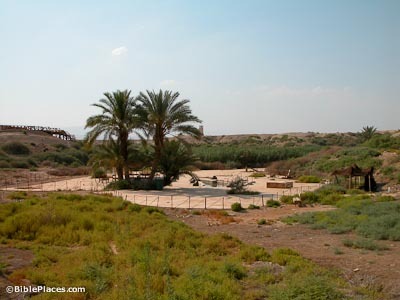 It is possible that Jesus was baptized in the southern part of the Jordan River (near Jericho) and, after his temptation, he met John in the region of the northern Bethany. 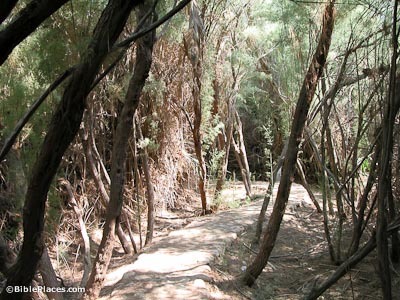 The thickets surrounding the Jordan are referred to in scripture as the “pride” of the Jordan (Zech 11:3). Especially prevalent in this growth are tamarisk, willow, and Euphrates poplar trees. Since the growth is so thick, wild animals find refuge in this area. Nineteenth-century explorers reported seeing lions, tigers, bears, hyenas, jackals, and otters. Jeremiah used the image of a lion coming up from the Jordan’s thickets in his prophecies (Jer 49:19; 50:44). 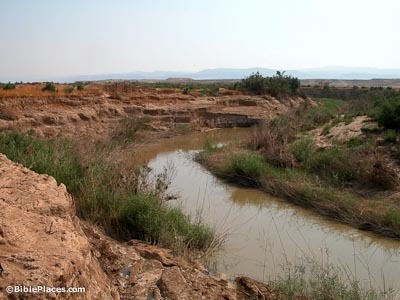 Because large quantities of water are taken from the sources of the Jordan by the countries of Israel and Jordan, the river today is a small, winding, dirty stream that makes its way to the Dead Sea. The river winds so much on its journey from the Sea of Galilee to the Dead Sea that the entire course runs about 130 miles instead of the 60 miles it would take if it ran straight. 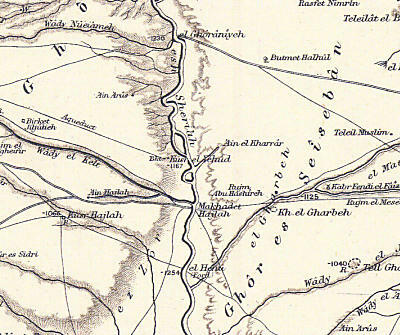 This map shows the area of the southern end of the Jordan River in the 1880s, as recorded by the Palestine Exploration Fund. This map is included in high resolution in the Survey of Western Palestine: The Maps collection. 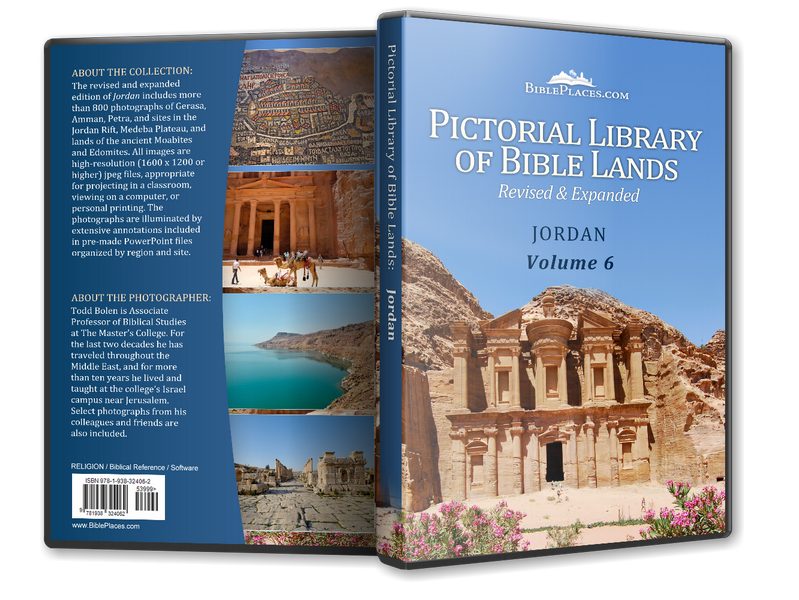 For a careful discussion of the correct location of Bethany beyond the Jordan, see this article (pdf) by J. Carl Laney.